Chances are you’ll be doing a lot of holiday traveling between now and the end of the year. To help you schlep in style, Italian luxury brand FORZIERI has curated 17 travel accessories you can’t leave home without. From a sleek, sophisticated carry-on to a set of leather luggage tags worthy of any jetsetter, these pieces will keep you looking polished from check-in to takeoff. Scroll down to shop these travel accessories before the holiday madness begins. 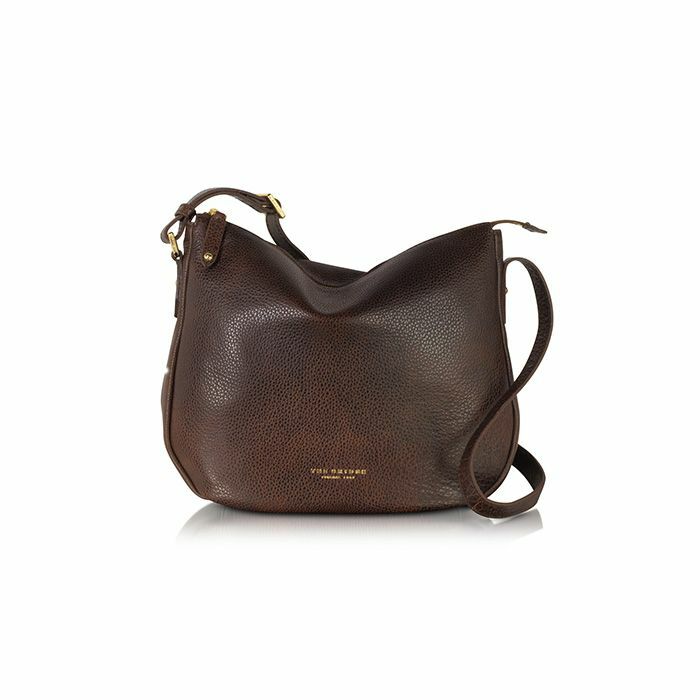 Get on board with this traditionally classic brown leather bag. This plaid and leather backpack is the ideal hands-free option. To avoid the mysterious case of the misplaced boarding pass, opt for this luxe wallet to keep you organized. This carry-on’s timeless palette and sturdy shape makes it a stylish investment. Headed on a weekend getaway? Pack your things in this multicolored duffel, which even comes with a flashlight and bottle-opener. These edgy leather high-tops allow you to stay comfortable without sacrificing a bit of style. Temps can get unexpectedly chilly in-flight, so wrap up in a versatile gray scarf. Subtle gold hardware adds a glamorous touch to these leather luggage tags. Protect your passport with this stylish and understated cover. For an extended trip, opt for a roomier suitcase in a darker hue that won’t betray as many scuffs or marks. You’ll never lose sight of this wear-everywhere bright red backpack. Shield your tired peepers after a long flight with these perfect Celine sunnies. This chic yellow Chloé cross-body transitions easily from the airport to after-hours drinks. This tech-friendly bag is the perfect size in which to stash your tablet. In the market for a compact carry-on? This cute brown leather backpack is a smart option. Tie this pretty pink scarf to your tote for a sophisticated statement. Invest in the ultimate leather weekender for an elegant travel companion. Booking your closet a ticket to FORZIERI already? For even more travel essentials, shop HERE.